Make sure to check in at the TOWER LOBBY, the event is in ACADIA ROOM. Do you live closer to the University Area? Check out the event at the Aloft location on the next day - March 7, 2019 instead! Already admitted? Join us for the Scholarship Workshops at 4:30 pm or 6:00 pm - just bring your laptop so you can follow along! What is Admission on the Spot? 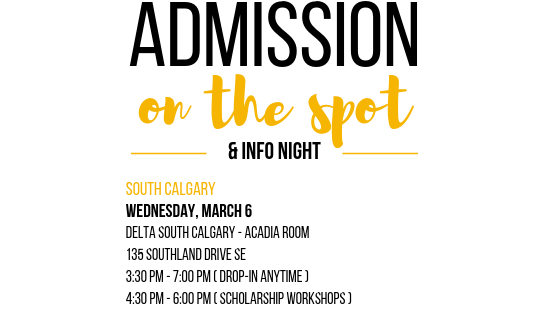 Admission on the Spot is an event designed to help students fill out their application to the UofR. Students can bring their high school transcripts to the event and have their application processed immediately, and if admissible, students will be conditionally accepted to the University of Regina. * Students who have applied to Competitive Entry programs (Faculty of Nursing) will NOT be admitted on the spot. However, they can check if they would be admissible to their second choice faculty and still receive the waived application fee. *Students with international or post-secondary documents can receive the discounted application fee; however, will NOT be admitted that same day. 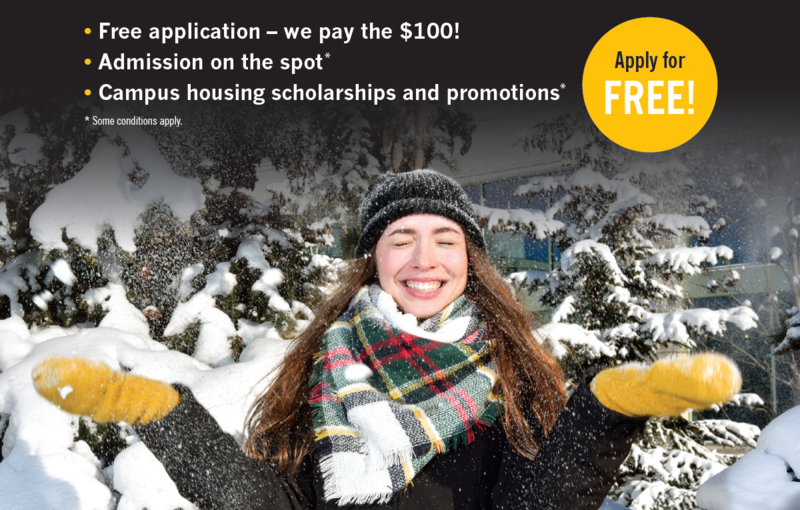 **Students with international or post-secondary documents can receive the discounted application fee; however, will NOT be admitted that same day. All you need to bring is an unofficial transcript (you can print this off of myPass). If you want to speed up the process, send your transcript (PDF file) to erica.chan@uregina.ca ahead of time! EDUCATION STUDENTS! Students applying to the Faculty of Education can now participate at Calgary AOTS. All you need to do is fill out your TEAP (Teacher Education Application Profile) first and bring it with you! Check out details and download and print the TEAP document here. Don't forget - Aloft (University Area) location is on Thursday, March 7!